LAWRENCE — When the Tony Awards are handed out June 12, theatre-lovers and anyone in touch with pop culture will be waiting to see whether the 16 nominations for “Hamilton” pay out. The hip-hop musical caught fire after opening last summer. “I think it’s a surprise to everyone else, but not to people who have been going to these types of hip-hop inspired shows,” said Nicole Hodges Persley, associate professor of theatre at the University of Kansas. Hodges Persley’s forthcoming book on hip-hop theatre includes a chapter on the work of creator Lin-Manuel Miranda’s previous Broadway hit “In The Heights” and his Pulitzer Prize winning musical “Hamilton.” As a scholar, artist and practitioner, she is available to speak about hip-hop theatre and the hip-hop arts movement in the wake of the splash “Hamilton” has made in pop culture. 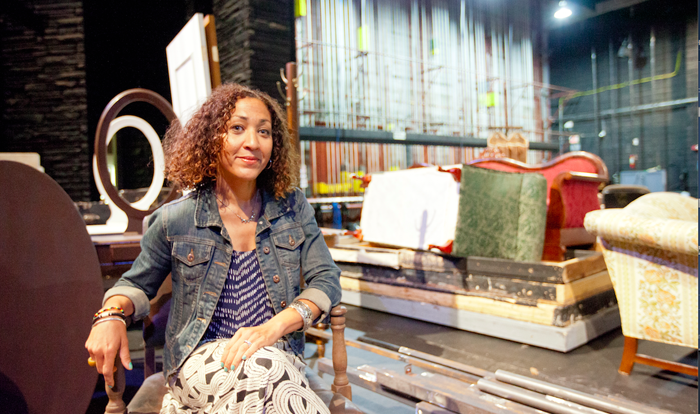 Hip-hop theatre has opened up new opportunities to think about race, gender and class, she said. “Mainstream theatre audiences are still digesting what it means to see a son of Latino immigrants come of age as a major player on Broadway. Miranda is rethinking and rewriting American history in a powerful way that is resonating across racial, class and gender lines,” Hodges Persley said of Miranda. “It’s changing the ways we think about theatre and what will inspire new audiences, and it’s encouraging audiences to rethink the type of experience they want in theatre,” she said. To arrange an interview with Hodges Persley, email Erinn Barcomb-Peterson at ebp@ku.edu.